Together, the UH Hilo ‘ohana and our collaborative community partners are continuously working toward organizational excellence and moving our university successfully into the future. One of the top goals at the University of Hawai‘i at Hilo is to facilitate organizational excellence through continuous innovation, responsible resource development, and effective communication. We are continuously working to improve our planning, financial and human resource management, and accountability, demonstrating our commitment to the state of Hawaiʻi. An important part of this goal is for our employees to experience a collegial and enjoyable working environment that is exemplified by effective communication, clear processes, and procedures. One good example of striving to meet this goal is the planning process of our new strategic plan, now underway. Currently, our strategic planning project manager Kathleen Baumgardner is conducting a listening tour across 40 campus units and elsewhere to seek input about historical progress and future needs from faculty, staff, students and the local community. The sessions are organized around a series of questions rooted in “Appreciative Inquiry,” a model that seeks to engage all stakeholders in self-determined change. When people talk and communicate with one another through this collaborative process, they can co-construct the structures, strategies, and processes needed to move forward. Participants create the future they want by building on the best of the past. Problems are identified and participants consider how weaknesses might be overcome by strengths. Members of the UH Hilo and local communities are encouraged to participate in this process. In addition to planning sessions, one way to contribute is by answering the “Question of the Month” found on the UH Hilo Strategic Planning website. Everyone is invited to participate. 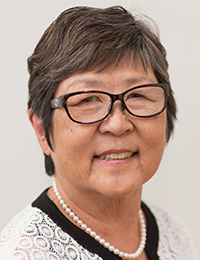 Among the members of the UH Hilo ‘ohana, listeners of the tour outcomes will include our new UH Hilo chancellor (Bonnie Irwin arrives July 1) and a Strategic Planning Committee that will be formed once the permanent chancellor is in place. 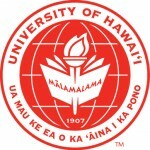 The committee will review the notes of all meetings as well as a summary report that will help inform the development of the next UH Hilo Strategic Plan. Ultimately, the planning process will help create a foundation for an inclusive and living strategic plan for our campus. The new plan will be collaboratively developed and implemented, then monitored and revised on an ongoing basis to be effective and to guide us for years to come. An example of facilitating organizational excellence through effective communication is found in our constant push to improve internal and external communication. Internally, a new weekly email communication to the UH Hilo ‘ohana called Haʻilono has replaced the monthly Ka Lono Hanakahi faculty newsletter. In addition to being ADA compliant, this new “e-blast” allows us to share information with the university community in a much timelier manner. Brief information and links to more in-depth coverage are provided on a wide range of topics: academics, administration, awards, campus security, operations and services, faculty accomplishments, research, athletics, and upcoming events. An overall and large undertaking is underway to bring our entire university website into ADA compliance. As a matter of equity and diversity, we are committed to ensuring that campus computing and information resources are accessible to disabled students, faculty, and staff. This is a longstanding requirement under Section 504 of the Rehabilitation Act of 1973, and Title II of the Americans with Disabilities Act of 1990. Web accessibility standards are newer, but part of our accessibility obligations and commitment. UH Hilo is well on the way to meeting its mandatory compliance. In local media, this year’s special University Town insert in the March 24 edition of the Hawai‘i Tribune-Herald features our academic programs that were most asked about by Hawai‘i Island students attending college fairs and presentations. Topics covered are the new aeronautical science, computer science, and language revitalization programs. Our living-learning residential communities are also highlighted. Also being published in the Hawaiʻi Tribune-Herald is Ka Nūpepa, that features UH Hilo six times throughout the course of this year, in full-page, full-color editorial and advertisement combinations. Topics include colleges and programs, all focused on student and faculty excellence. And, I am enjoying our quarterly “talk story” coffees with the Hawai‘i Island Chamber of Commerce members. I’ve been bringing along a faculty expert to share with our business leaders the latest news from different academic units, i.e., lava flow research, business theory, and community health care. Before I close, I’d like to add that we are also working to strengthen university leadership, a crucial key to organizational excellence. Progress on this front is indicated by the identification of a permanent chancellor, the beginning of a review committee for the job of vice chancellor for academic affairs, and further plans for filling interim dean positions. Together, the UH Hilo ‘ohana and our collaborative community partners are continuously working toward organizational excellence and moving our university successfully into the future. Mahalo to all who are engaged in the process.